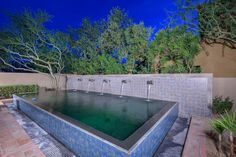 When building a pool, there are a lot of things to take into consideration, but almost none are as important as the people you are building your pool for. Pools come in a wide variety, and young marrieds are generally looking for something different than grandparents. So, what if you, like many others, are looking to build a pool for your family? Here are four features that will make it a hit with people of all ages. If you have kids, you’ve probably already decided on having a shallow end, but the right steps can really take it to the next level. Especially if you have smaller children, creating a set of steps that are wide and gradual instead of quick dropoffs give your kids a place to learn to swim comfortably. Including a tanning ledge in your design makes this a great option for parents too by providing a place to lounge and keep the little ones within arms reach. When you don’t have the backyard real estate to expand steps into your shallow end, a sitting ledge is a great second option. Sittings ledges are usually about a foot wide and sit one to two feet underwater. These will take up a lot less space than elaborate steps, but still provide a nice place for smaller kids to hang out and adults to rest. If your kids are a little older, you might decide to step it up with some more involved add-ons. 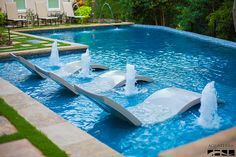 Of course, the list could be endless with volleyball nets and basketball hoops, but slides and diving boards are a common staple that don’t require a group to enjoy. 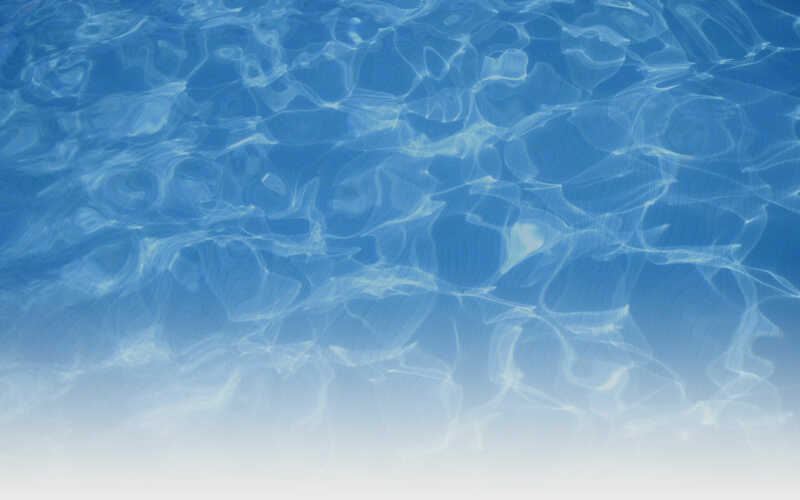 With both, you’ll want to keep safety in mind and make sure that your pool meets the proper depth requirements. But if you do, they can provide great fun and a way to burn off energy for your older kids. While you’re building that slide, why not consider adding a waterfall as well and creating a grotto. Kids love these unique pool features that give them the feeling of swimming in a cave. And adults can use them too. With a couple of built-in cupholders, grottos become the perfect place to relax in the shade while the waterfall keeps your hideaway nice and cool. Really no matter which of these features you decide to go with, your whole family will love it. And if you want to make your backyard dreams a reality, contact us today for a free estimate. We love building quality pools for families like yours, and we make sure you’re happy with the results!